The Lillian and Betty Ratner School fosters a philanthropic culture within our community in order to support the mission and secure the future of Ratner Montessori. Your gift is an investment in each student, empowering them to find their voice and become engaged citizens of tomorrow. Please consider making your gift today- online, over the phone, by mail, or stop by for a visit. 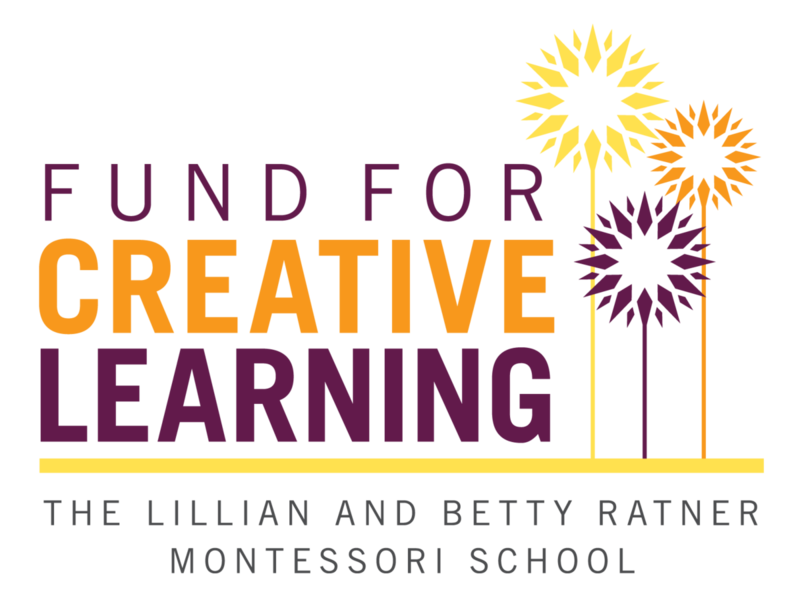 Every dollar raised through Ratner Montessori's Fund for Creative Learning goes directly to key initiatives such as: educational and enrichment programs, teacher and staff professional development, financial aid and so much more! Your generosity enables us to maintain low student-teacher ratios, ensuring we can best meet the needs of each student wherever they are on their path of personal development. Please consider making a contribution through this campaign and help us send at least one teacher to a 9-week intensive Montessori training this summer! Does your employer offer a matching gifts program? If so, send in your forms and double the impact of your donation. Your Human Resources representative can help you with this process. A donor-advised fund (DAF) is a type of giving program that allows you to combine the most favorable tax benefits with the flexibility to easily support your favorite charities. An increasingly popular charitable vehicle, DAF’s are an excellent way to both simplify your charitable giving and facilitate your strategic philanthropic goals. To make a gift of stock or other security, contact Rebecca Bash, Director of Advancement, at 216 464 0033 x 1123 for the necessary account information. To make a gift through an IRA rollover, contact Rebecca Bash, Director of Advancement, at 216 464 0033 x 1123. Help us continue our legacy of meeting each child where he/she is by including us in your legacy. For more information, contact Rebecca Bash, Director of Advancement, at 216 464 0033 x 1123. Join us for our annual gala, which benefits special initiatives and projects of the school. Become a sponsor or show your support through the purchase of tickets or donation of items. Sponsorships are the perfect way to meet your philanthropic goals while reaching a wide audience. to the members of the Ratner community who have given generously to the Fund for Creative Learning. Your gifts enrich and transform the educational experience of our students, allowing our children to grow into thoughtful, productive citizens, who will give back and transform their own communities. Every gift has great importance, and we are grateful.